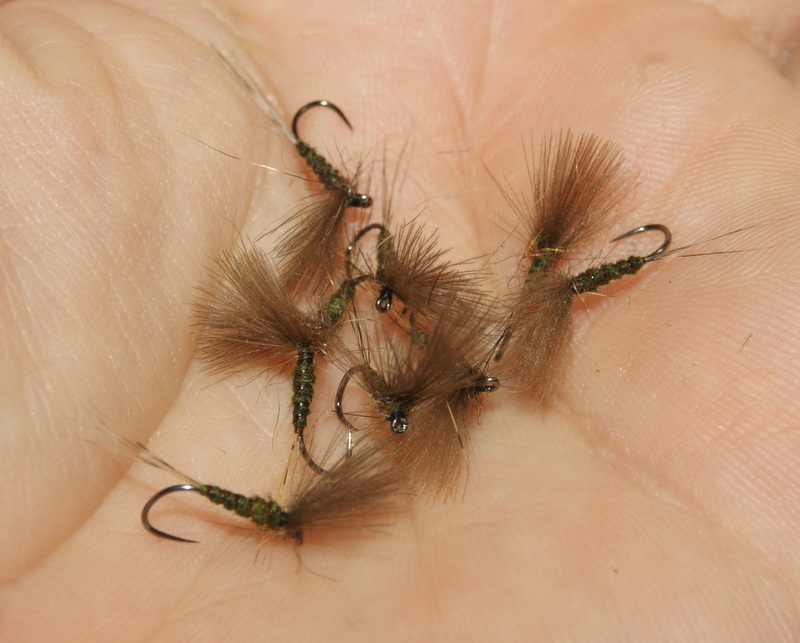 The dries were in and the bugs were out! The river Taff below the house was up and brown due to the over night rains but this didn’t stop me and my mate Tony from getting down there and seeing if we could winkey a few out in the conditions! The water clarity was very poor and there was debate on just saying bugger it and go home, but we kept at it looking and checking out the slack spots in the shallower runs. In this time we walked around a fair bit and as we were doing this a good steady hatch of blue wing olives started to hatch with a good number of august duns putting in appearance. finally we found a few fish rising and i stuck 2 the dries and my mate stuck 2 the heavy metal bugging everything as he does 😉 check this greedy stone loach out trying to eat my mates huge bug haha classic eyes way to big for its belly! As i was saying i found fish rising so my setup was a 12ft tapperd leader going down to a 4lb point and at the end i tied on around 2ft of 1.40 stroft, ..love the stuff!. 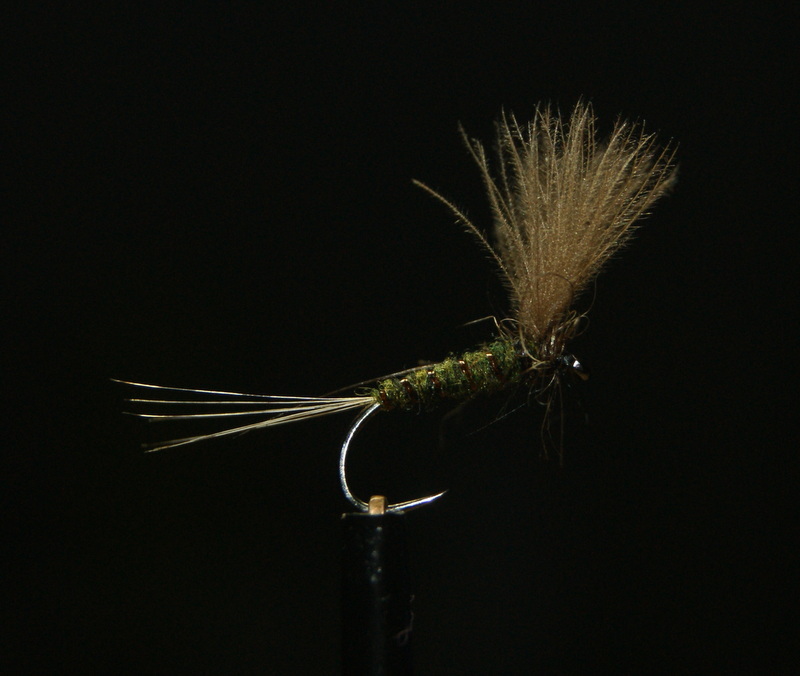 The dry that i tied on was a size 16 bwo pattern i tie, works well nothing to perfect but it works! didn’t take long and i was into the first fish and then the second and so on! was all good fun on the light tackle the 3wt took a beating because of the flow of the water, even the small fish put a hell of a bend in the rod that made things quite interesting until you had the fish under the tip i couldn’t tell how big they were really! I was surprised how many fish we both managed to catch in the rubbish conditions but was worth sticking it out for sure!. It was a tough few hours but well worth it! Ill leave with a few photos below , hope you enjoy! 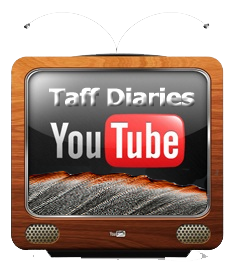 This entry was posted in Fishing Tackle, Fly Tying, Harvey Angling, River Taff and tagged blue wing olive fly pattern., dries, Dry fly patterns, fly fishing, Fly Fishing Tackle, fly hatches on the river taff, Harvey angling, Photos of brown trout, rising trout, river taff, south wales fly fishing, Taff water level, Terry Bromwell on August 6, 2014 by fishstalker666. fishing the river Taff here is south Wales! I didn’t have any plans to get out today due to having my son but my lovely wife finished work early and wanted peace and quiet so she sent me out with my fishing gear 🙂 Result!!! I know u live in there so just play ball please! I didn’t really go far i just went down below the house a few hundred yards and targeted the deeper and faster runs where the water is much more oxygenated because of the lower water conditions! 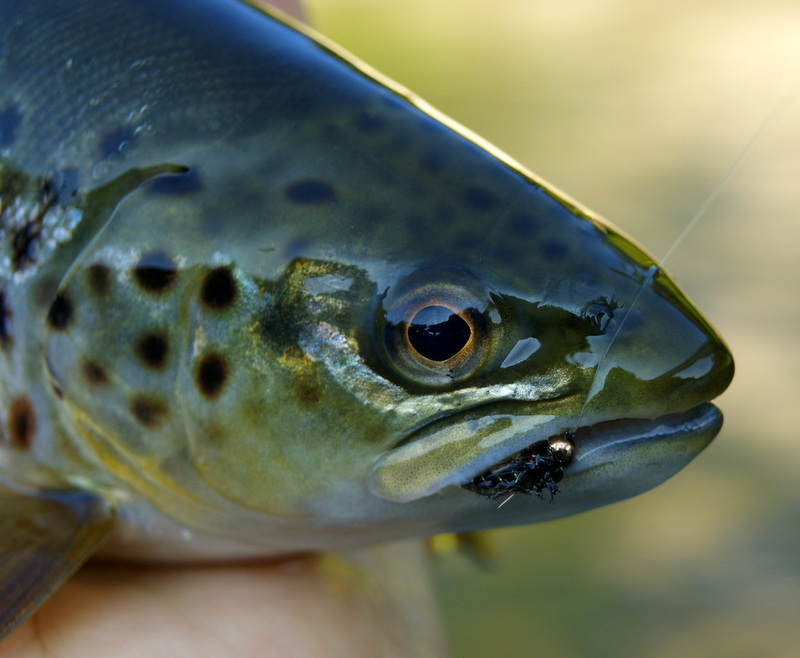 it was quite hot out but the flies didn’t seem to mind and the trout and grayling we making the most of it! It was a lovely few hours out and quite succesful too! 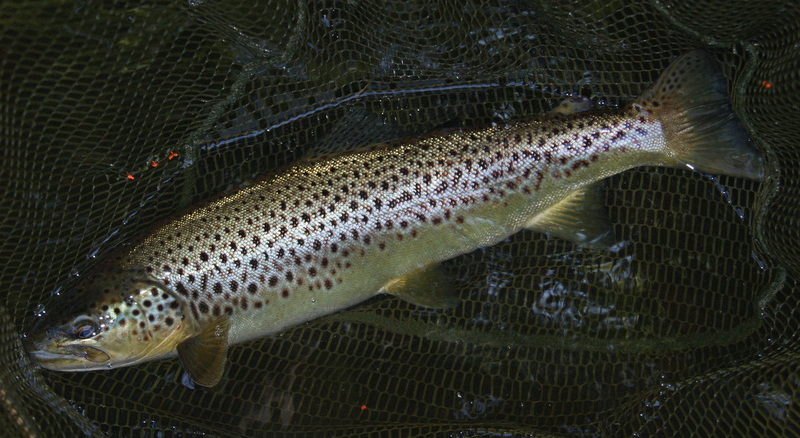 trout and grayling fell to dries and nymphs so was quite fun changing over and playing around! Didnt get any photos of the graying due to the buggers flipping around so much as they do! 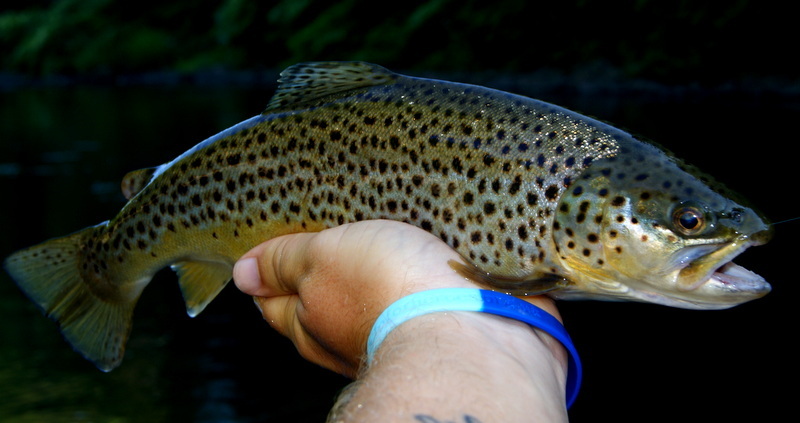 but here are a few photos of the lovely trout of the river Taff here in south Wales! Can’t get much better than this surely! Finally this little fella with the bug that fooled him below! 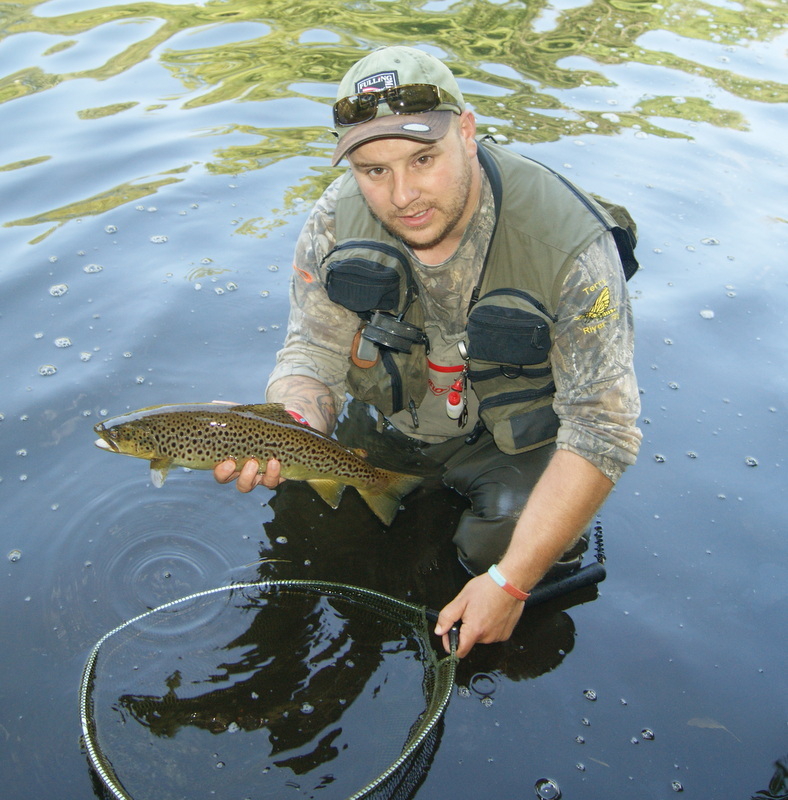 This entry was posted in Fishing Tackle, Fly Tying, Harvey Angling, River Taff, Taff water level and tagged dry fly fishing, fly fishing, french leader, grayling, Harvey angling, Nymphing, Photos of brown trout, south wales rivers, Terry Bromwell on August 4, 2014 by fishstalker666.